Durham Geo’s ground water products include active,passive, and solar remediation, submersible pumps, low flow sampling pumps, and ground water purging pumps. 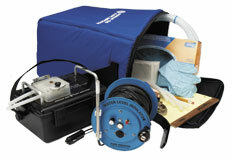 SRX-R Remediation Pumps for dissolved phase, total fluids, plume control and dewatering. SRX LP landfill pumps to recover leachate or gas condensate from wells. Pneumatic skimming pump for LNAPL or DNAPL recovery (F.A.P. Plus™ ZW pump). Solar-powered system for free product recovery pumps(SolarNAPL). May be configured for LNAPL or DNAPL recovery, gas condensate recovery, groundwater purging or air sparging. 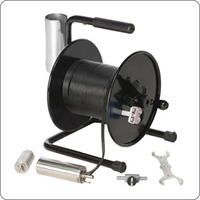 POD Skimming System for out-of-the-box LNAPL recovery in 2-inch and larger-diameter wells. F.A.P. 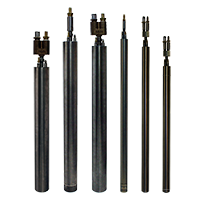 Plus™ ZW system — Active pneumatic skimming system for LNAPL or DNAPL recovery, recovery of a wide range of products from light-end hydrocarbons to more viscous products such as # 6 heating oils; 2 in or larger wells. 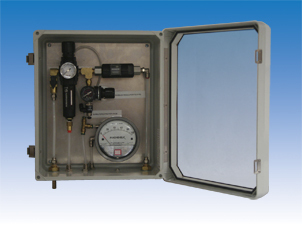 Pneumatic Tank-Full Shut-Off Device — Shuts off fluid supply to remediation tanks when full. SolarNAPL — solar-powered system for use with product recovery pumps. May be configured for LNAPL or DNAPL recovery, gas condensate recovery, groundwater purging or air sparging. SolarSPARGE — configuration for air sparging applications. 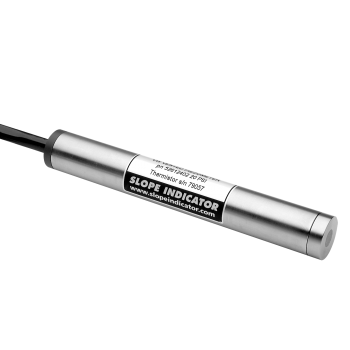 Product/Water Interface Probe — detects and measures the thickness of floating or sinking products. Detects the presence of water in storage tanks. 7/16 or 5/8 in probe for use in small wells. Passive Skimmer — for passive recovery of free phase product (LNAPL) such as gasoline, diesel and jet fuel. Used when minimal product is present and slow recovery rates are expected. 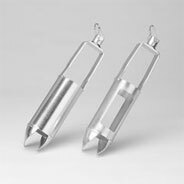 For 2 in or larger wells. May be upgraded to an active system by adding the F.A.P. Plus™ skimming system. Floating inlet automatically adjusts to water table changes. SoakEase™ — Selective absorbent for free phase product such as gasoline, diesel and jet fuel. Use for immediate response or minimal product. 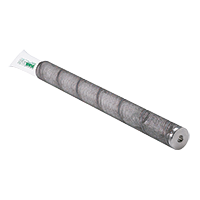 O-SOX™ — Oxygen releasing compound in a sock for aerobic bioremediation in ground water wells. Easiest deployment of dissolved oxygen. A-SOX™ — Carbon, ZVI and nutrient releasing compound in a sock for anaerobic bioremediation in ground water wells. Petro-Bailer™ — low cost passive skimmer with a fixed product inlet. For passive LNAPL recovery in 2 in or larger wells. CarboBailer™ — Bailer used to manually collect non-emulsified hydrocarbon liquids (such as gasoline and jet fuel) from wells, drums and tanks. SRX-R Pneumatic Pumps — Groundwater remediation pump for 2 inch and larger wells. Used to transfer fluids to the surface from depths of up to 200 ft (61 m). Recommended for dissolved phase, total fluids, plume control, and dewatering. SRX LP Pumps — Pumps for use in landfills to recover leachate or gas condensate. SolarNAPL — solar-powered compressor for use with product recovery pumps. May be configured for LNAPL or DNAPL recovery, gas condensate recovery, groundwater purging or air sparging. 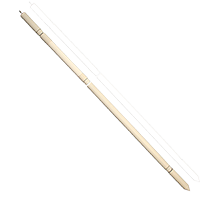 MBP Mini Bladder Pumps — specifically designed for low-flow groundwater purging and sampling in Sch 40 wells 1/2 in and larger. 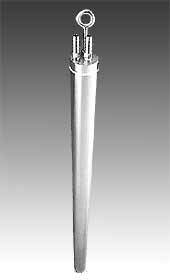 Mini PVC Bladder Pump for low-flow portable or dedicated sampling when stainless steel is not required. 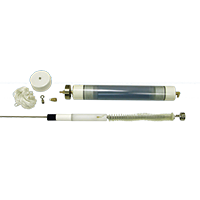 Dedicated Bladder Pumps to improve sample quality. Low Flow Sampling: What’s New and Why? DC purging pump — economical submersible pump for purging, sampling and developing wells to depths of 60 ft (18 m). 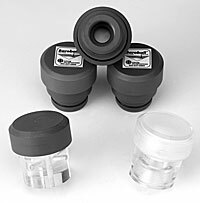 Diffusion Sampler — for passive VOC sampling at discrete intervals in ground water (without bailing or purging). 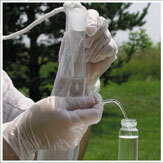 HydraSleeve Sampler Sleeve — inexpensive, disposable sampler for no-purge sampling of low-yield wells. 12 V Sampling Pumps — High performance submersible pumps for pumping depths of 120 and 200 ft respectively. Powered by a 12 V automotive battery. Arch Pneumatic Pump™ — for well development in 2 in and larger wells. BaroBall valve allows passive removal of vapors from the unsaturated soil zone. Air Compressors and air dryers — We can supply air compressors for all types of environmental applications, from 3/4 hp oil-less designs for groundwater sampling to 15 hp models for remediation projects. 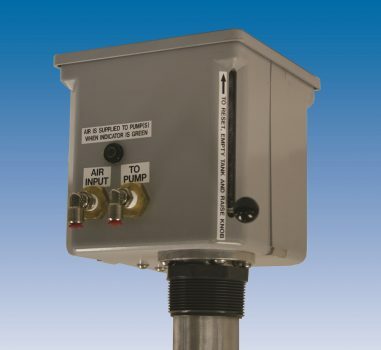 Well Head Module — The well head module is a NEMA 4 weather-resistant enclosure that protects instrumentation from harsh site conditions. DGSI Hand augers, AMS Hand Augers, and drive samplers— for grabbing soil samples in shallow holes ( up to 5 ft) to study soil contamination. 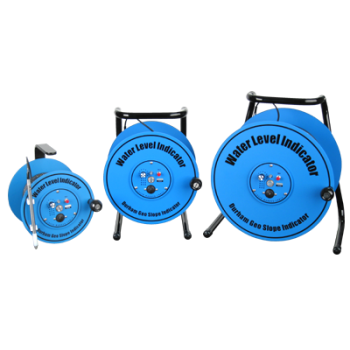 Water Level Indicators to measure water level in stand pipes or wells. Simple, effective, direct readings. cables graduated in ft or m. Cable lengths to 1000 ft.
Vented Pressure Transducer — for monitoring water levels in wells and standpipes, and stilling basins installed in reservoirs and streams. Ideal for data logging when used in conjunction with the Mini-Logger. 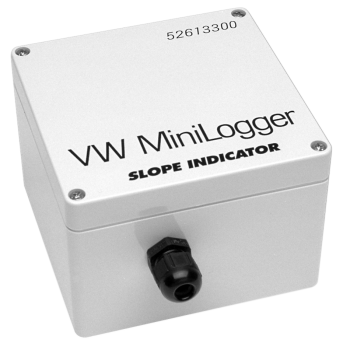 VW Mini-Logger — low-cost data logger designed to monitor a single VW piezometer. Runs up to 6 months and can store up to 8000 readings. If you have a specific site in mind, please complete the Remediation Site Assessment Form or the Sampling Pump Requirements Form to provide us with specific and detailed information. One of our Technical Support Members will evaluate the information and suggest a site solution.